The shelves between the Comfy Area and the Studio make up the Large Project Storage. Please note this storage is temporary, and should not be used for long term storage or for completed projects. The Large Project Storage will be audited monthly, each Hack the Space day. ALL Projects on the Large Project Storage MUST have a sticker attached linked to your membership. Click "Print DNH Label" next to your project. 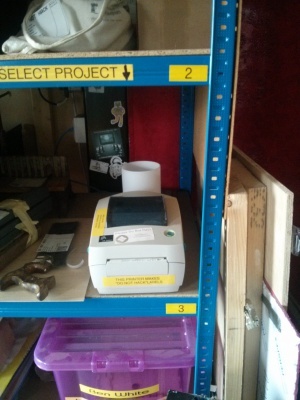 The label will be printed from the printer on the large project storage shelves. Remember to keep your label up to date when you work on it. Keep your label clearly visible on your project. We’d like to remind everyone that the only official storage space is either your membership storage box, the Large Project Shelves (LPS), or the sheet and wood storage area. If your project is too large for any of these areas, please check on the Google Groups mailing list before leaving it in the hackspace. The shelves are audited periodically to made sure all the projects are included on the list. At the audit every project also receives a beige luggage tag with the user's name on it, as well as a coloured sticker. Normally, almost all projects placed on the shelving receive a GREEN sticker. Green sticker - means that a project has been worked on recently. We have given almost all projects the benefit of the doubt here and "green stickered" them. Yellow sticker - if there is no change to the "last worked on" date, or projects are totally abandoned with no information about WHO they belong to or when they were placed on the shelf. These items have received a YELLOW sticker. 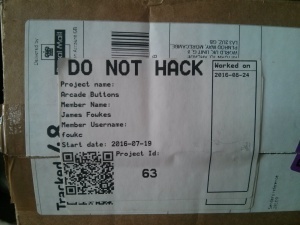 Red sticker - projects not touched or moved (there is no change to the "last worked on" date) and with yellow stickers will receive a red sticker. Recycle or bin - items that are red stickered for over a month will be removed from the project storage and broken down into parts/rehacked. 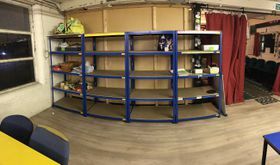 In February 2019, the Large Project Storage area was cleared of a lot of rammel at the Hack the Space Days event. This page was last modified on 22 February 2019, at 23:46.